Before I get started, let me give you a little disclaimer – if you’re looking for a super authentic pho recipe, this will not be it. 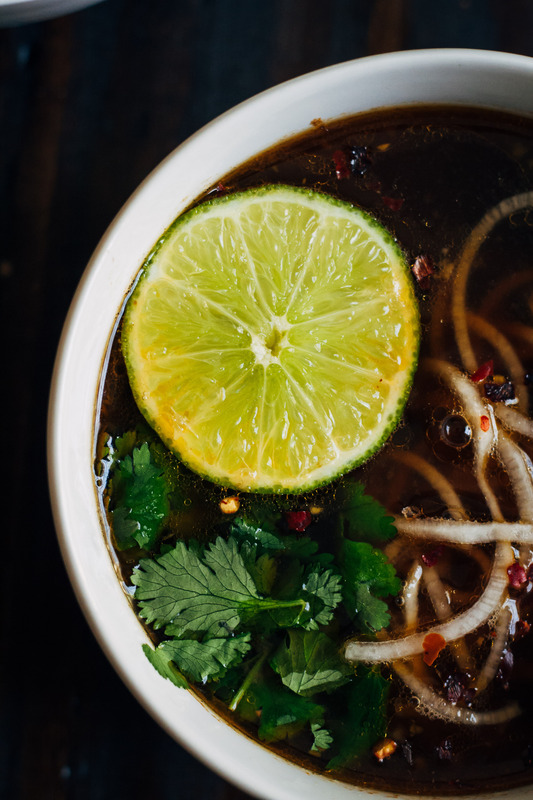 If you’re looking for a savory, umami, insanely delicious pho-like soup, then this recipe would be it. 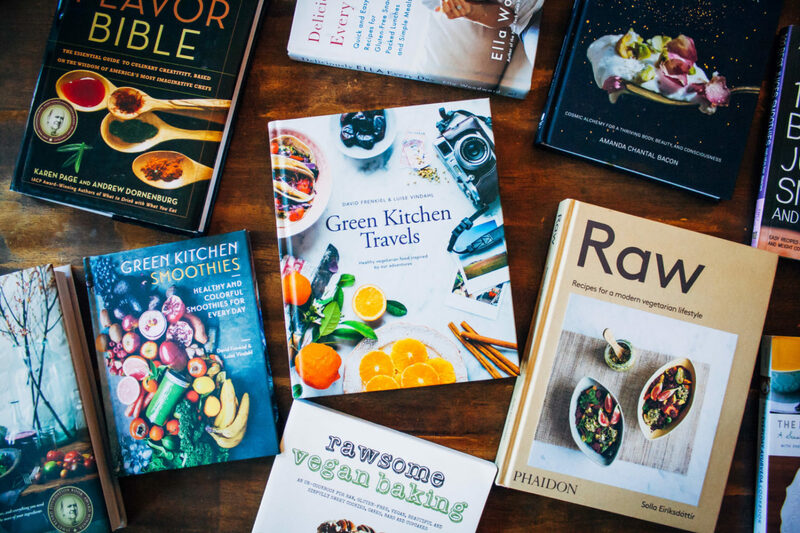 Of course, presenting an authentic pho recipe on a vegan blog would be, by definition of pho, impossible. So instead of using the traditional meat-based broth, this soup gets its base from shiitake mushrooms, which have a wonderfully meaty flavor and texture. 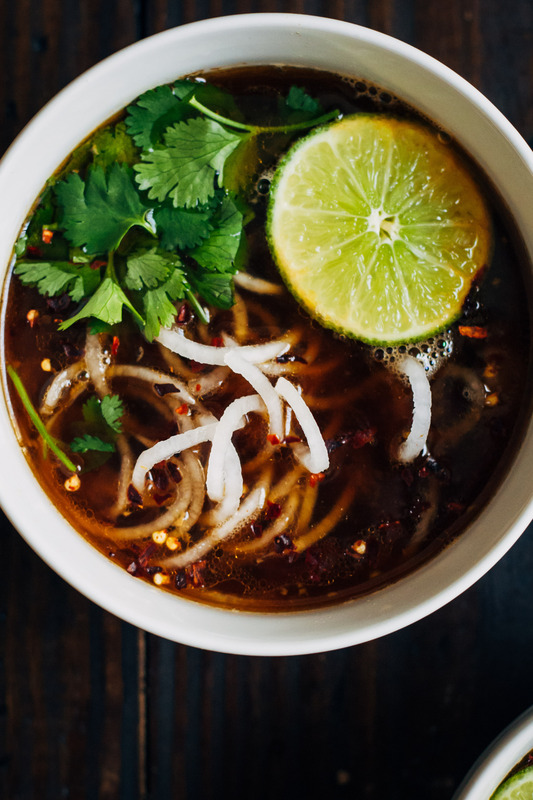 Coupled with garlic, ginger, and a little bit of miso, traditional pho won’t even compare! 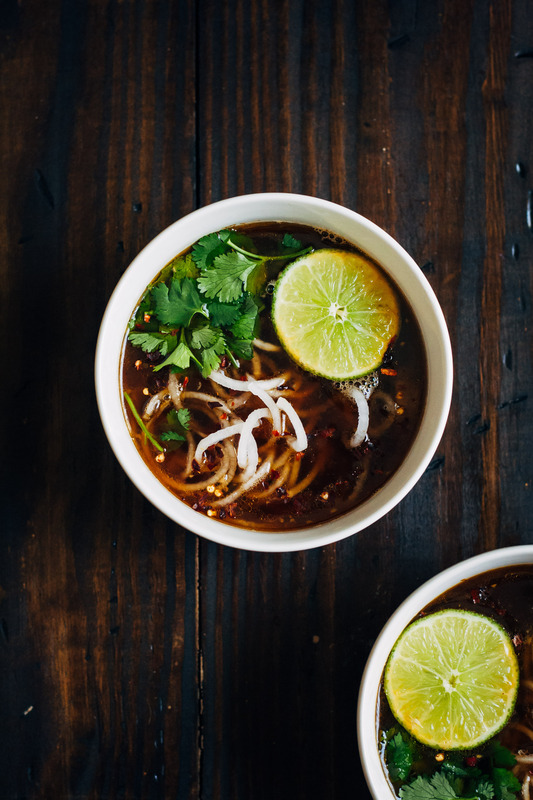 Daikon noodles add a delicious crunch to this twist on vegan pho. In a large pot, bring sesame oil to medium low heat. Add grated ginger, minced garlic, and shiitake mushrooms. Sauté for about 2-3 minutes, until mushrooms are soft. Be careful not to let garlic brown too much! Once mushrooms are soft, add vegetable stock, soy sauce, and miso. Stir, and let simmer for about a minute. While broth is simmering, peel and spiralize daikon noodles. For softer noodles, add to broth and simmer for a few minutes. For crunchier noodles, add to broth when ready to serve. To serve, spoon out broth and noodles into bowls. Serve with lime wedges and fresh cilantro. Daikon was actually one of the first veggies I spiralized! So fun! i love experimenting with different asian style soups! 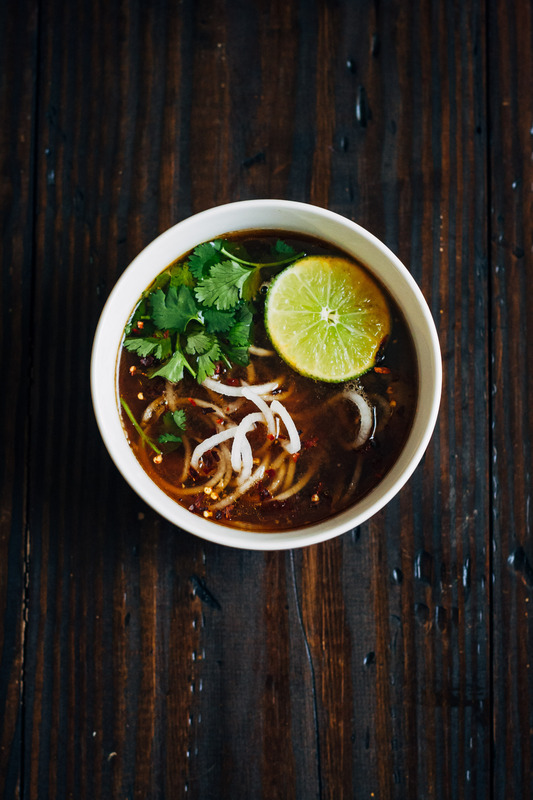 i’ve seen some pho recipes and they look tricky and have a million ingredients – i love your simplified version! Such a creative way to make veggie soup! Those noodles sound awesome! I love spiralizing Daikon! Daikon soup was my mom’s version of “chicken noodle” when we were sick. 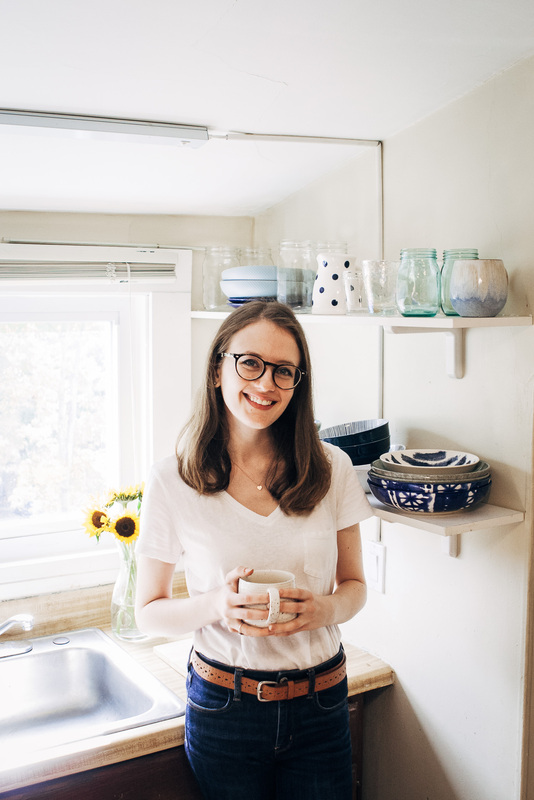 Love the photos Sarah! love this pho. i’ve never made pho before but i definitely have to do so now. so beautiful. 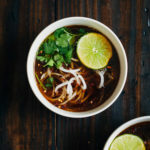 I loooooove pho, and am always up for a vegan version! It looks like it’packed with flavor…bring on those Daikon noodles! Pfff…. authentic, meat-based pho recipe, who needs that? This version sounds just perfect!